HP 32GB Kit with 4 x 8GB matched sticks. This fits many servers from Dell, IBM and HP. HP Part No500205-071. Pictures show the item and this is what you will receive. COMPONENT RANK: 2RX8. ERROR CORRECTION CODE ( ECC ): YES. COMPONENT DENSITY: 8GB. Product Technical Specification MANUFACTURER: SAMSUNG. COMPONENT SPEED: DDR3-1600. What you Get. 8GB Samsung PC3L-8500R DDR3 1066MHz M393B1K73CHD-YF8 Server/Workstation. DELL HYNIX 8GB 2Rx4 PC3L-10600R 1333MHZ SERVER RAM MODULE - SNPP9RN2C/8G. Rank: 2Rx4. 8GB Per Module. For sale is this Dell 8GB PC3L-10600R DDR3L RAM Module. Capacity: 8GB. We hope you enjoy our products. Rank: 2Rx8. Capacity: 8GB. New Pull From New Server. HP P/N: 669239-081. Compatible With: HP. Form Factor: ECC UDIMM. Option P/N: 669324-B21. 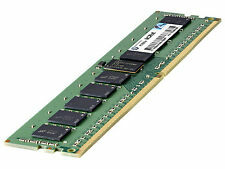 Technology: DDR3-1600Mhz. 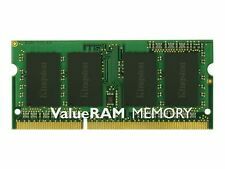 Samsung 8GB 1Rx4 PC3L-12800R DDR3. Capacity: 8GB. 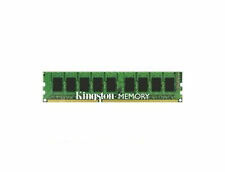 Micron 8GB RAM 1Rx8 PC4-2666V DDR4 ECC Registered Memory MTA9ASF1G72PZ pulled from new Dell workstation on arrival. Dispatched with Royal Mail 1st Class Large Letter. The HP part number is 752368-581. We will resolve the problem directly with you. The HP part number is 853288-081 and Samsung part number is M474A1G43EB1-CRC. We will resolve the problem directly with you. Capacity: 8GB. Peak Transfer Rate: PC3L-12800R. Error Checking ECC. Number of Modules 1 x 8GB. 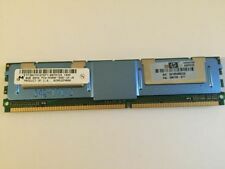 HP 8GB PC3-12800R 664691-001. This unit will be fully tested prior to despatch. Right of cancellation does not apply to audio or video recordings or computer software if they have been unsealed. Serial numbers : All relevant serial numbers are logged in a data base, we also use warranty stickers where appropriate. 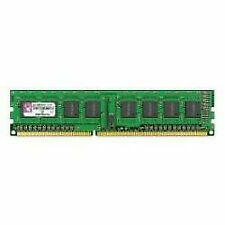 HP 16GB (1x16GB) Dual Rank x4 PC3-12800R. Form Factor - 240-pin DIMM. Number of Modules - 1 x 16GB. Infrastructure matters. You trust ProLiant quality for its reliability and performance to keep your infrastructure running. CAS LATENCY TIMINGS: CL13. DATA INTEGRITY CHECK: ECC. STORAGE CAPACITY: 8GB. NUMBER OF MODULES: 1 X 8GB. MANUFACTURER: HP. PLATFORM SUPPORT: HP PROLIANT SERVER. HP PROLIANT BL460C DL360P DL380P ML350P GENERATION 8 (GEN8) SERVER BLADE. OEM Part Number: 8GB DDR4 19200 2RX8. Rank: 2RX8. Capacity: 8GB. All of our RAM sticks are tested before dispatch. A forklift is not required. We are aware that mistakes and problems can always occur but we will endeavour to get any issue resolved as quickly and fairly as possible. CAS LATENCY: CL15. NUMBER OF MODULES: 1 X 8GB. Pre-sale phone enquiries ONLY. Technical support available. Over 20 years professional service. You will always know what you are buying. Fully certified services.